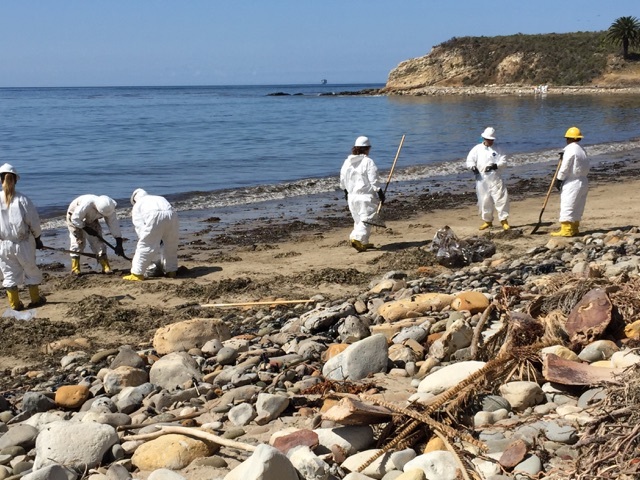 As we remember the second anniversary of the Refugio oil spill, it’s important to understand the important part played by the Environmental Defense Center. But let me digress for a moment to share my perspective on oil extraction in general. I moved to California from Florida to enjoy clean, fresh air with coastal and mountain views. My first home thirty years ago was in the Monterey Bay area. Fortunately, no oil was found there, so the only lights on the water at night were from the squid boats. When I started searching for a home in the Santa Barbara area, my drives down the 101 took me along the Gaviota Coast. That’s when I saw the oil platforms. Why were they here? How was that compatible with this coastal community? I began educating myself as the Sierra Club representative to the Environmental Coalition which met monthly at EDC. There was so much to learn and so much history beginning with the 1969 oil spill. But the coalition members were an impressive group and we worked hard to change or deny proposed projects. I should mention that among the coalition members were representatives from our local, state and federal offices. 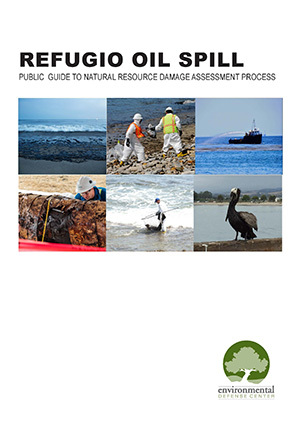 Refugio Oil Spill, May 20,2015. Photo by Erin Feinblatt. I was working for the local state senator on May 19, 2015 when we received an alert that there was an oil spill near Refugio. I was briefed on a conference call by state officials saying “everything was under control.” Then our office started receiving calls from environmental activists including EDC attorneys painting a very different picture. It turns out that the enviros knew more about what was happening on the ground. EDC was on-site on Day One, watching the waves and tide wash the oil out to sea. EDC met with the agencies, pushed for more effective containment and cleanup, and advocated for reversal of the Governor’s suspension of the Coastal Act. Simultaneously, EDC geared up with weekly meetings to provide coalition members with the most current information on the response effort and to learn of concerns our organizations had received. This was extremely important as the Unified Command’s public relations seemed dominated by the oil spill perpetrator (officially referred to as the Responsible Party), Plains All American Pipeline Company. I saw this first-hand. I observed a press conference where two of our local county supervisors, Janet Wolf and Doreen Farr, were almost prevented from attending a briefing held on county property! It even got to the point where security guards stopped you and if you weren’t on the list, you didn’t get in. Some of the blockage we experienced was caused by the criminal investigation, not by Plains. 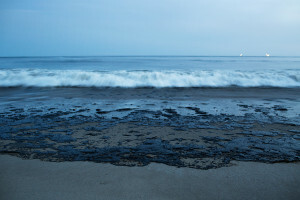 As oil moved down the coast and more wildlife damage was discovered, one necessary finding was whether the oil was from the spill or some other source. Even getting this information was difficult. Once we got past the sputtering start of containing the spill, EDC focused on two fronts: addressing some of the spill causes and the “after action” process to improve future response capability. Working with our local legislators at both the federal and state levels, EDC was instrumental in the passage of AB 864 and SB 295. These state bills addressed the technology available on pipelines in environmentally and ecologically sensitive areas in the coastal zone and required annual pipeline inspections for intrastate facilities. Our legislators also held local oversight hearings and EDC’s Linda Krop was a panel participant. On the federal front Congresswoman Capps’ bird-dogged the Pipeline and Hazardous Materials Safety Administration (PHMSA) “corrective action order” against Plains as well as the sufficiency of PHMSA regulations through the House Energy & Commerce Committee oversight. This resulted in the committee’s passage of the Pipeline Safety Act of 2016 (HR 5050) authored by Capps. EDC immediately weighed in with recommendations to improve oil pipeline safety at the federal level. The focus subsequently shifted to the Natural Resource Damage Assessment affectionately referred to as “nerd-a” and the after action report process. EDC attended multiple meetings to advocate for better NGO participation in both processes and coordinated efforts to encourage applications for coastal mitigation projects from the damages received from Plains. 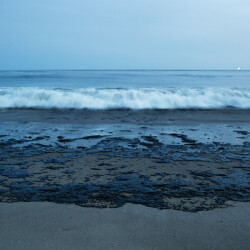 EDC continues to lead the effort to update our local, state and federal oil spill response plans so that next time – and there will no doubt be a next time – the oil leak or spill will be stopped more quickly, the volume of the spill will be less, and our beaches will be protected from the widespread impacts of a devastating spill. I still wonder if the vista along the Gaviota Coast will ever be oil platform-free, but as long as EDC is here, I can hope.